Navy blue evening dress with flounced skirt, white polka dots, ruffled cravat neckline. 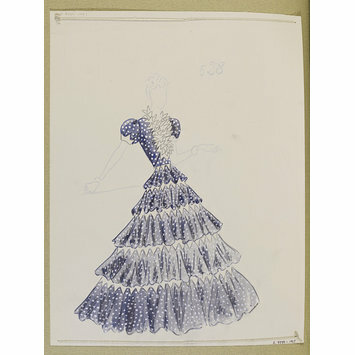 One of 277 dress designs for Summer 1939 bound in volume. Paquin (Ana de Pombo). 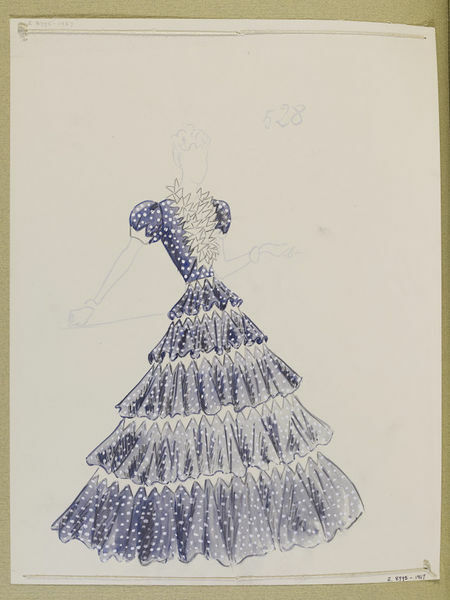 Navy blue evening dress with flounced skirt, white polka dots, ruffled cravat neckline. One of 277 designs for Summer 1939 bound in volume.